A former care home in Northampton that closed in October has been given a new lease of life after a group of 20 ‘guardians’ moved in to help keep the property secure. Hampton House, a former care home in Lumbertubs for disabled people, is being looked after by a group of people who are living in the premises to prevent it from becoming derelict. The building, which is owned by Scope, is currently up for sale but a company called Ad Hoc have organised the guardians to live there until a buyer is found. 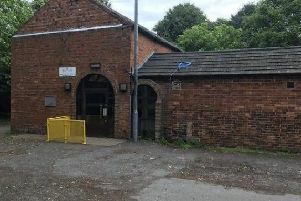 Sarah Reid, area manager of Ad Hoc Property Management Ltd, said the guardians were all working professionals aged 21 and above who were occupying individual rooms in the building. Ms Reid said they all had to agree to fairly strict terms and conditions including no children, no pets and no parties but benefited from a cheap rent of just £275 a month. She said: “Our standard guardian is a man in his 40s who has just come out of a marriage break-up and is looking for something cheap and cheerful or someone looking to save some money for a deposit on a house. Peter Farga and Mark Albert, both aged 21, were the first people to move into Hampton House after it closed as a care home. Mr Farga said he was really enjoying living in the building as the rent was cheap and the kitchen and bathroom facilities were very good. He said: “We were looking online for flats and we saw this one was just round the corner. Suki Kaur, aged 40, moved into Hampton House a week ago and said she had been surprised how easy it was to live there. She said: “I was a bit nervous as I’ve never really liked living in a house share but this doesn’t really feel like that. Ad Hoc is looking to add another 10 guardians to Hampton House. If the building is sold, the guardians will be given 28 days to find alternative accommodation.